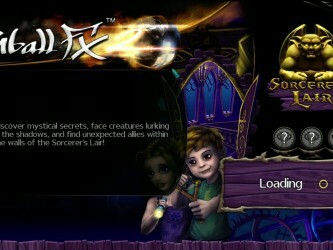 Now that we’ve heard from the Creative Director of Zen Studios, let’s take a look at their most recent table, Sorcerer’s Lair. Unlike their recent and future tables featuring well known Marvel characters, this time around we are being treated to an original concept. 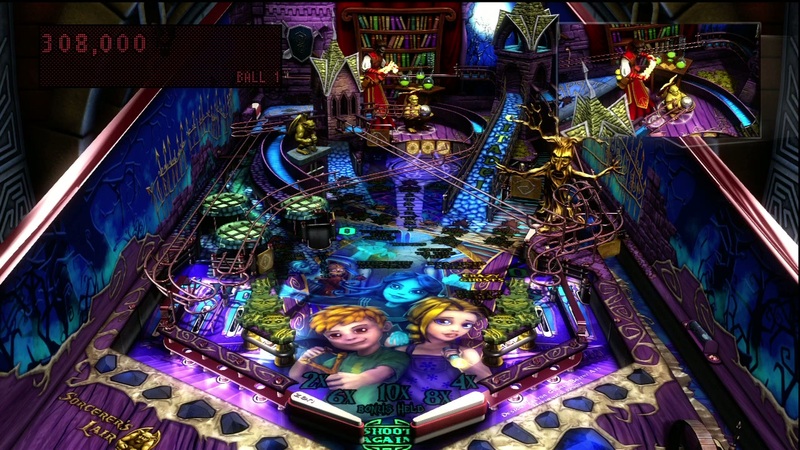 If you’ve read our other reviews, you know that Zen is exceptionally good at creating an authentic pinball feel with their tables, while still adding features and effects that would make any physical table designer drool. 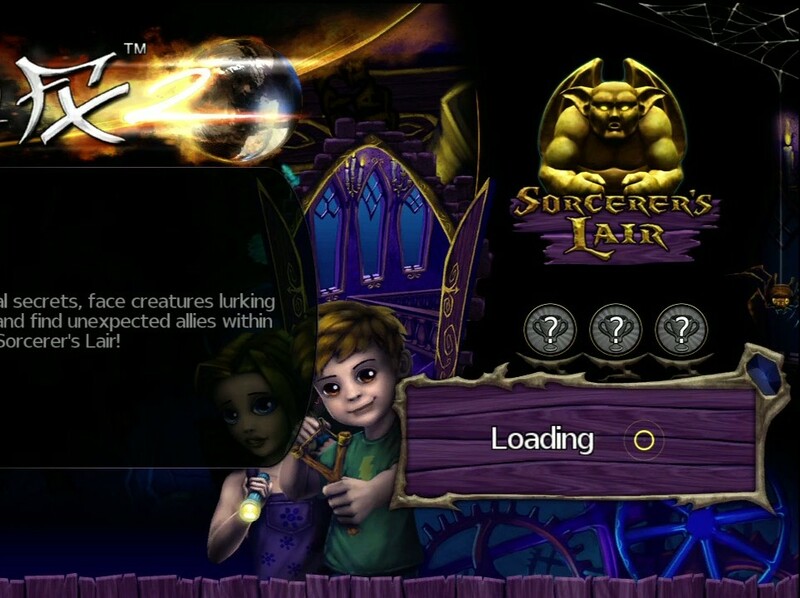 Sorcerer’s Lair is no different. 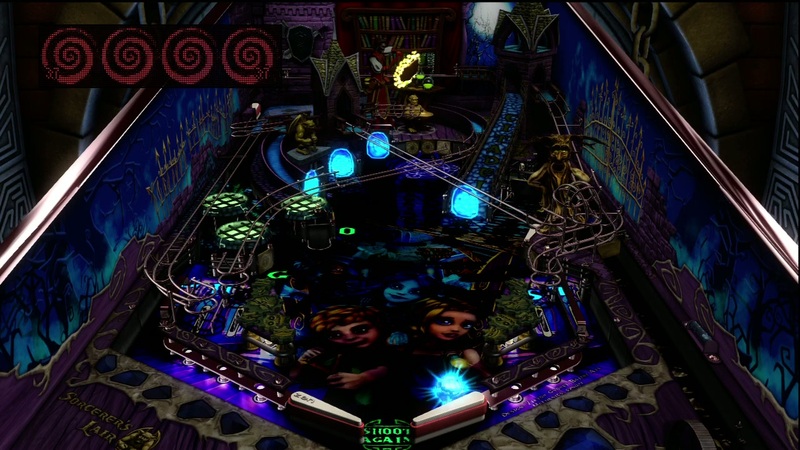 The overall theme of the table is Gothic and spooky, the traditional haunted mansion. Animated features to the table, like a gnarled tree, a gargoyle, and the Sorcerer himself lend an undeniable personality. To enhance the mood of gloom certain table modes dim the lights. This has the added effect of allowing the galaxy of colorful lights and indicators that stud the table to stand out. 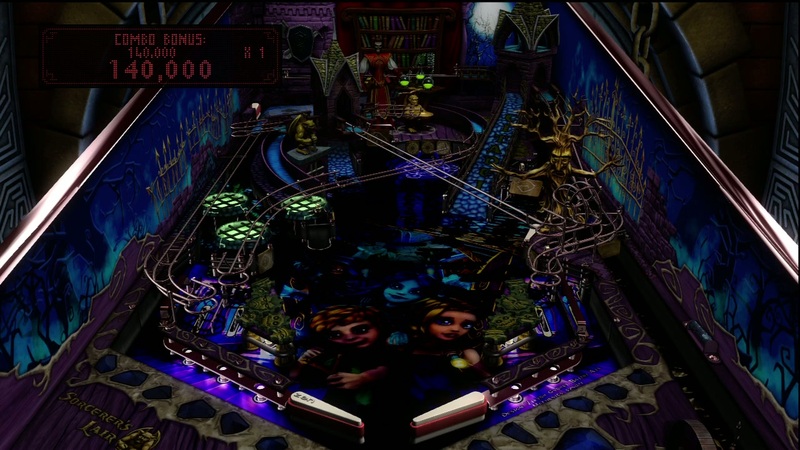 Depending on the mode, you’ll see insubstantial ghosts, summoned demons, and even whole other tables, but what impresses me most is the little details. 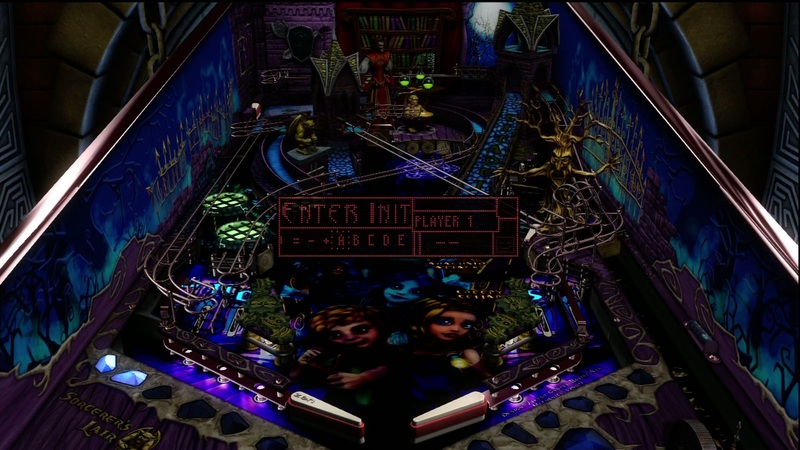 The bumpers beside the flippers are covered with gears that turn, ball returns open trap doors to slip the ball back into play. Everything has an intricate, polished feel. Hit the right targets in the right order, and you'll find yourself playing a whole other table. 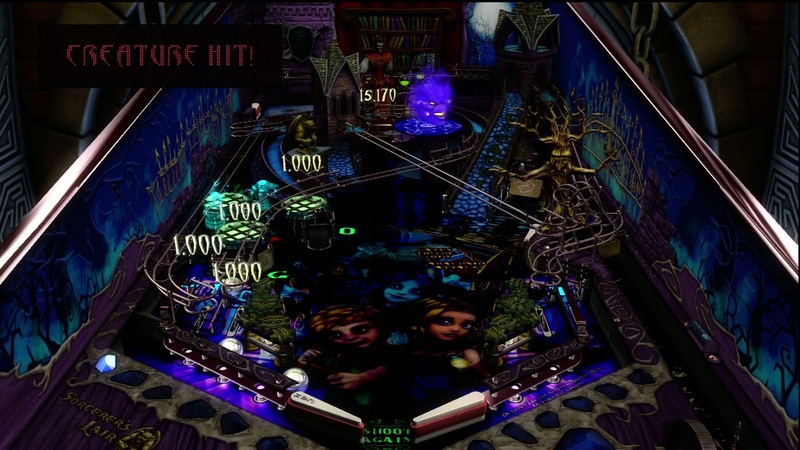 It is easy to say “If you’ve played one pinball table, you’ve played them all,” but my experience with Zen has taught me that that just isn’t so. 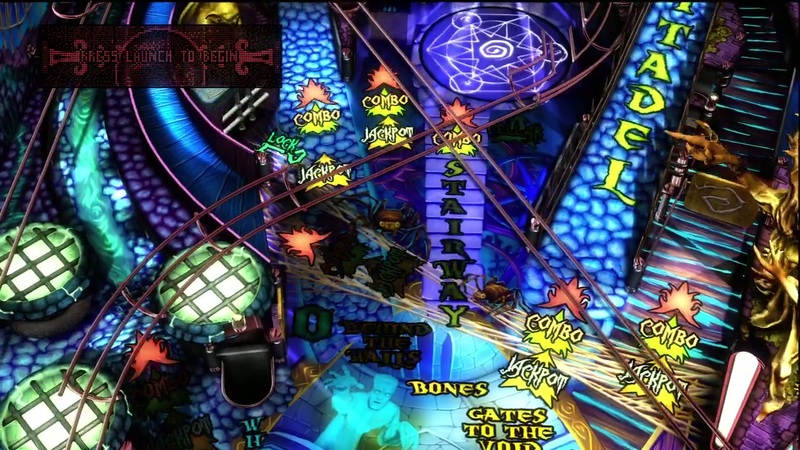 Many of the different modes seem familiar; powering up the ball, knocking it through glowing portals, etc. Every now and then, though, I find something that catches me by surprise. The secondary table is what did it for me in this case. A certain sequence of events will drop your ball down into a small, high scoring table with a very wide gap. 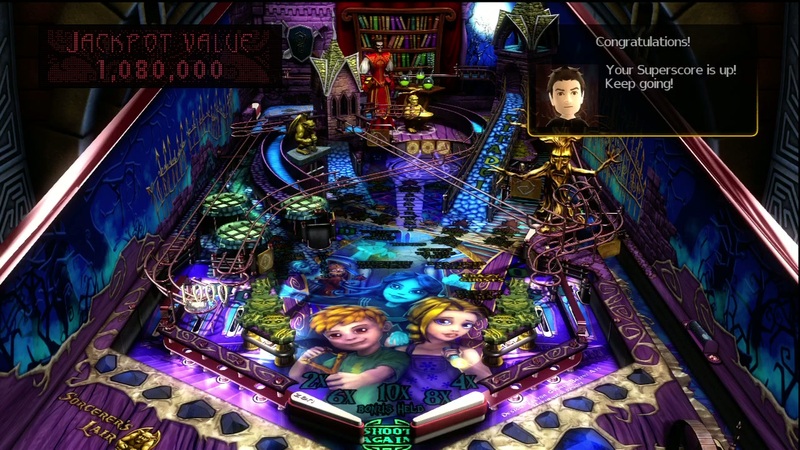 I can never remember encountering something like it before, but to be fair, that could just be due to my lackluster pinball skills. Like the visuals, the little things about this table impressed me most. As I write this review, I am listening to my recorded footage and the nuance to the audio is surprisingly deep. There are creaks and rumbles, grinds and thumps. Things that contribute to the spooky feel almost as effectively as the visuals do. The music sets the right mood as well, and the voice work of the heroes and the villain are both quite good. 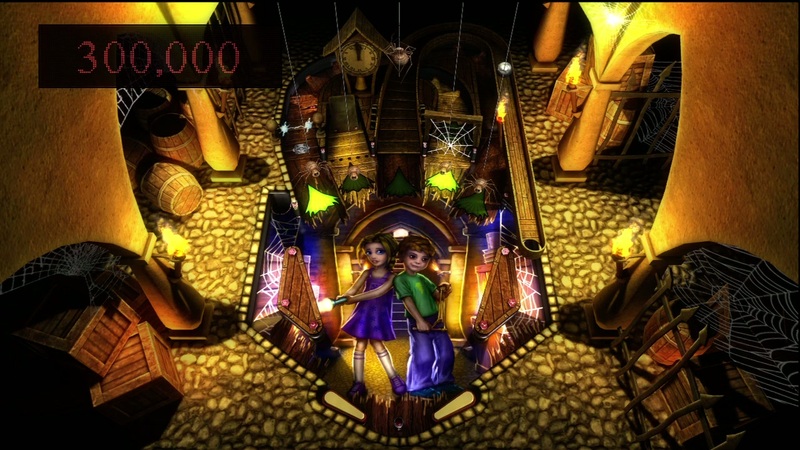 A pair of children, a spooky house, a sorcerer, and all sorts of ghosts, ghouls, and monsters. If you can’t see the story potential there, you may need an imagination transplant. 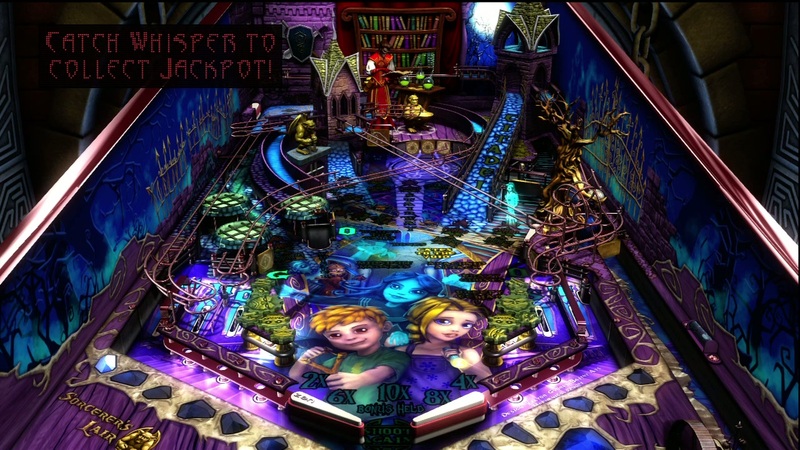 While it is great to see familiar characters like Miss Splosion Man and Captain America spicing up the pinball experience, a little originality is always welcome. 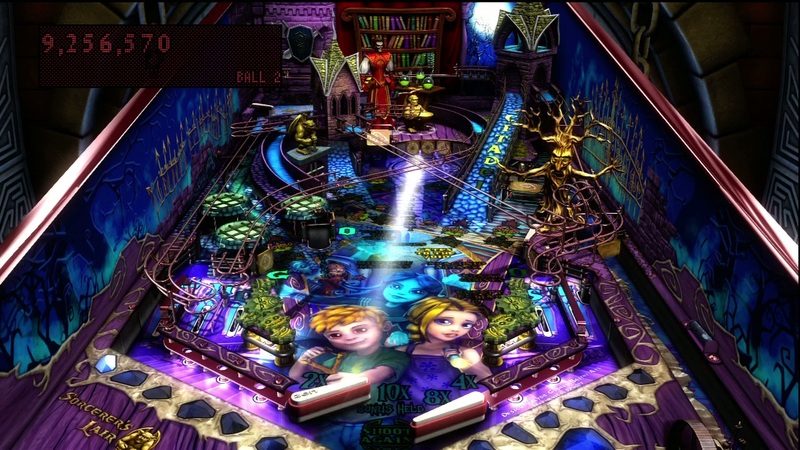 8.2 / 10: Zen reminds us that Marvel characters aren’t the only way to make a pinball table more fun and engaging. Hit the right targets in the right order, and you’ll find yourself playing a whole other table.